eaw038400 ENGLAND (1951). 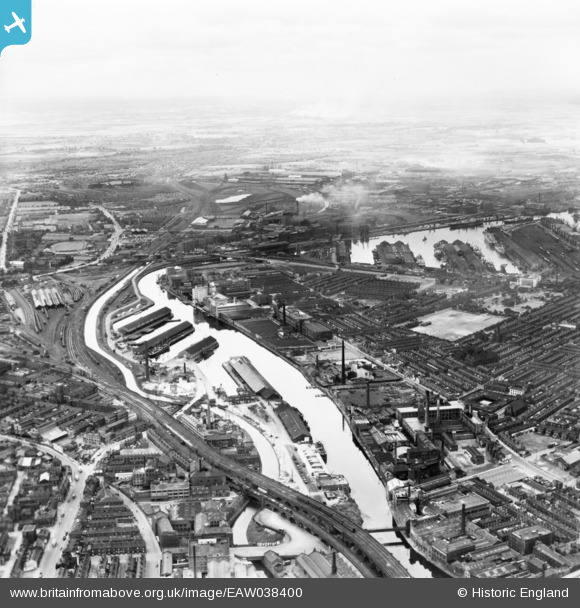 Pomona Docks looking towards Manchester Docks, Manchester, from the north-east, 1951. This image has been produced from a print. Title [EAW038400] Pomona Docks looking towards Manchester Docks, Manchester, from the north-east, 1951. This image has been produced from a print. Clay pit and site of former brickworks. now occupied by Freightliners trafford Park terminal. By Barney Rubble.